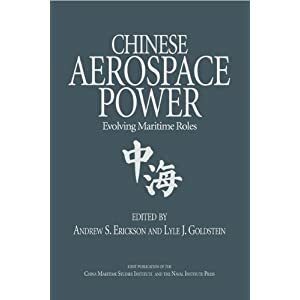 In chapter 4 Christopher Yeaw, Andrew Erickson, and Michael Chase conduct a comprehensive survey of China’s nuclear doctrine, strategy, and force structure. Relying on a wealth of primary sources, their narrative follows China’s dramatic transition from a modest posture of minimum deterrence to the “effective deterrence” of recent years. Chinese thinking about nuclear doctrine was spellbound by Maoist dogma, and thus it remained in a state of suspended animation until the 1980s. Yet China has made significant progress across the board since the reform and opening period that began in 1978. Chinese strategists now openly debate whether the no-first-use doctrine remains prudent. Yeaw, Erickson, and Chase suggest that under certain circumstances, Beijing may be compelled to reconsider the threshold for nuclear use. As missile guidance systems improve, moreover, the Chinese may expand their conception of nuclear war from one that involves limited retaliatory attacks against civilian targets to one that includes counterforce strikes. Greater accuracy opens up new strategic vistas. Beijing has also steadily reversed the material backwardness of its nuclear forces. It is deploying more survivable, more mobile platforms on land and at sea, and it is fielding its first assured second-strike capability. New delivery systems, such as nuclear variants of land-attack cruise missiles, may enter service in the coming years. Beyond hardware, the Second Artillery Force is reforming its training regimen to include more realistic and rigorous exercises. This will enhance the quality of China’s military “software,” namely, the commanders and troops who operate the forces. Yeaw, Erickson, and Chase warn, however, that a more credible Chinese deterrent posture may not necessarily translate into a stable United States-China strategic relationship. Chinese writings about signaling and escalation control suggest that Beijing’s crisis behavior may actually foster miscalculations and instability. 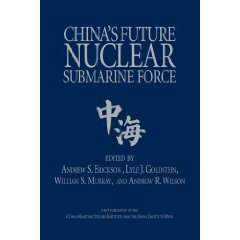 Along with these force-modernization developments, China’s nuclear deterrence strategy has evolved from what was essentially a version of “minimum deterrence,” relying on a handful of nuclear weapons to notify potential adversaries that any nuclear attack on China would elicit “assured retaliation,” toward a new approach that China’s 2006 Defense White Paper characterizes as requiring a “lean and effective nuclear force capable of meeting national security needs.” Some Chinese scholars have described this evolving approach as “dynamic minimum deterrence,” conveying that it retains key features of China’s traditional strategy while adjusting it to keep pace with changes in the security environment and emerging threats. Li Bin describes China’s nuclear strategy as “counter nuclear coercion,” highlighting what many Chinese scholars characterize as its longstanding emphasis on countering superpower nuclear threats. China’s pursuit of “effective deterrence” is thus less a departure from its traditional “assured retaliation” approach than an effort to ensure that China’s “assured retaliation” strategy will be seen as credible despite challenges posed by an evolving security environment and advances in adversary intelligence, surveillance, and reconnaissance; conventional precision strikes; and missile defense. But even this evolutionary departure from past practices is so significant that Beijing qualifies as a nuclear newcomer for the purposes of this volume. 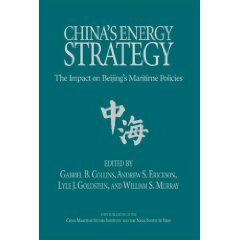 Drawing on a variety of sources—including Chinese-language military publications, academic and technical journal articles, and military media reports, as well as unclassified U.S. government publications on Chinese military power—we examine recent developments in Chinese nuclear strategy and force structure. Our key findings are twofold. First, China is moving from a “minimum deterrence” posture premised on ambiguity about its modest and vulnerable nuclear capabilities, toward a more secure second-strike deterrence posture in which nuclear deterrence operations are integrated with conventional missile-force strike operations. Nuclear forces help deter nuclear attack while contributing to escalation control in a conventional conflict. For example, in the event of a conventional conflict with another major power, it seems likely that the Second Artillery would conduct nuclear deterrence operations, such as dispersing mobile nuclear forces and attempting to send a message in order to deter the adversary not only from using nuclear weapons or coercing China with nuclear threats, but also to deter the adversary from carrying out conventional strikes against targets such as China’s nuclear forces, nuclear power stations, large-scale hydroelectric power facilities, and important strategic targets in and around Beijing and other major cities. Second, China’s nuclear missile-force developments and the Second Artillery’s evolving approach to nuclear and conventional missile-force campaigns will have major implications for the U.S.-China strategic relationship and could lead to crisis instability under certain circumstances. In particular, although a secure second-strike capability will likely result in greater strategic stability in the long term, it may not do so immediately or automatically. Some recent developments could result in considerable instability in the event of a crisis or conflict between China and another major military power, such as the United States. China retains its longstanding “no first use” (NFU) policy, but Chinese sources raise questions about what exactly Beijing would construe as equivalent to “first use” on the part of an adversary. Some deterrent actions discussed in Chinese publications could easily be misunderstood, possibly leading to inadvertent escalation. The principal recommendation that emerges from our findings is that dialogue on issues of mutual concern is required to mitigate these risks. A “second nuclear age” has begun in the post-Cold War world. Created by the expansion of nuclear arsenals and new proliferation in Asia, it has changed the familiar nuclear geometry of the Cold War. Increasing potency of nuclear arsenals in China, India, and Pakistan, the nuclear breakout in North Korea, and the potential for more states to cross the nuclear-weapons threshold from Iran to Japan suggest that the second nuclear age of many competing nuclear powers has the potential to be even less stable than the first. Strategy in the Second Nuclear Age assembles a group of distinguished scholars to grapple with the matter of how the United States, its allies, and its friends must size up the strategies, doctrines, and force structures currently taking shape if they are to design responses that reinforce deterrence amid vastly more complex strategic circumstances. By focusing sharply on strategy—that is, on how states use doomsday weaponry for political gain—the book distinguishes itself from familiar net assessments emphasizing quantifiable factors like hardware, technical characteristics, and manpower. While the emphasis varies from chapter to chapter, contributors pay special heed to the logistical, technological, and social dimensions of strategy alongside the specifics of force structure and operations. They never lose sight of the human factor — the pivotal factor in diplomacy, strategy, and war. Toshi Yoshihara is the John A. van Beuren Chair of Asia-Pacific Studies at the US Naval War College. James R. Holmes is an associate professor of strategy at the US Naval War College and the author of Theodore Roosevelt and World Order. 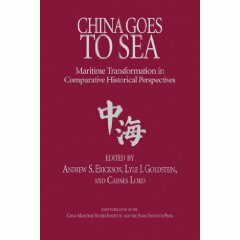 Yoshihara and Holmes are also coauthors of Red Star over the Pacific: China’s Rise and the Challenge to US Maritime Strategy.